Metal 3D printing is a revolutionary technology that produces impossible-to-make parts directly from your CAD data. 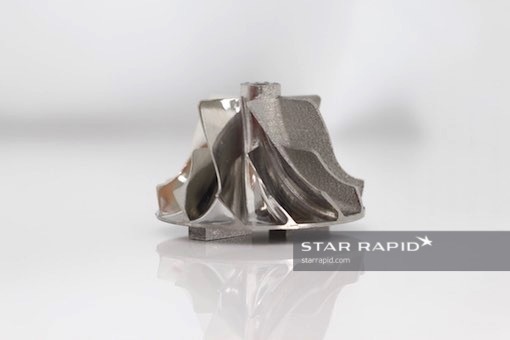 Advantages to this process include the ability to produce strong, complex geometries, internal lattice structures, conformal cooling channels and other features that cannot be made with traditional machining. 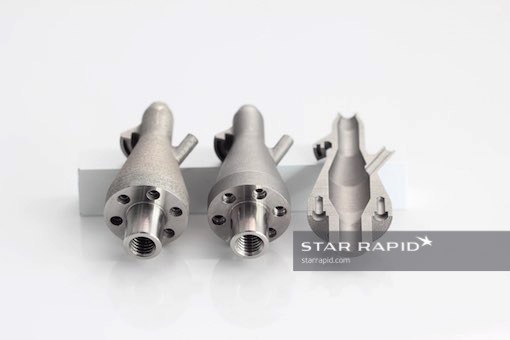 Parts can be made quickly with a minimum of material waste making them ideal for next-generation engineering in aerospace, medical, automotive and other industries. With all subtractive manufacturing services available in-house through our AddSub® service, you can produce great results for the most demanding projects. Contact us today for a quote. 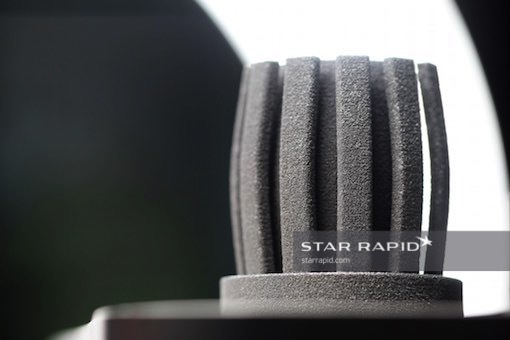 At Star, we use a 3D printing process called Direct Metal Laser Melting (DMLM). This additive manufacturing process uses a high-powered laser to melt and fuse successive layers of powdered metal into three-dimensional solid parts. The advantage is that the more complex or feature rich the component, the more economical the process becomes. Metal 3D printed parts are fully dense, incorporating complex geometries and precise internal features that cannot be made with traditional machining alone. Many people run into issues when designing for metal 3D printing, so we made some online tutorials to help you learn the basics. First a 3D CAD file must be provided for the design. In order to achieve the best results, it’s essential that our engineers review your CAD drawing file in advance and optimize the design wherever necessary. This may include optimizing build orientation and adding support structures to areas where the force of gravity can cause features to distort during the printing process. These supports will later be removed. We then use specialized software to slice the drawing into multiple cross-sectional layers, with each layer representing a 20 – 60μm thickness of the final shape. Finally, we upload the sliced file into the machine to be printed. 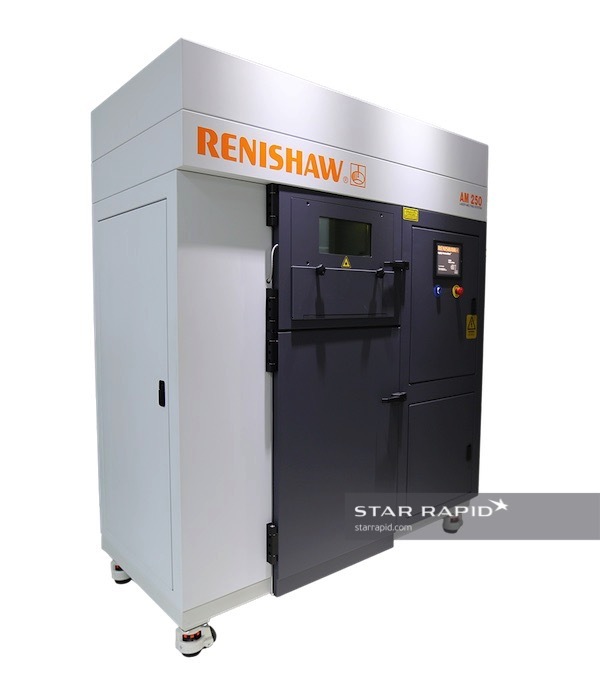 At Star, we use a Renishaw AM250, a state-of-the-art metal 3D printer for rapid prototyping and manufacturing. The general tolerance for metal 3D printing is +/- 0.5mm. However, it is significantly dependent on the geometry of the part being printed. Check out more guidelines to follow when designing for metal 3D printing. 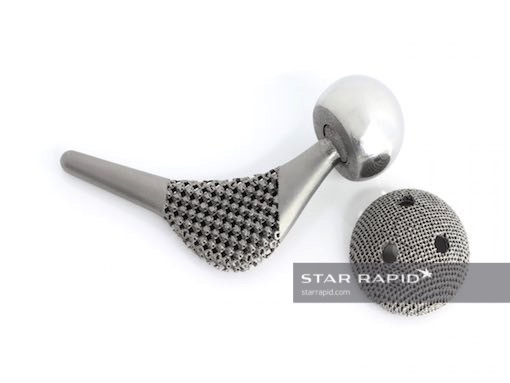 Currently we offer 3D metal printing in titanium, stainless steel, maraging steel and aluminum. Each material has unique advantages relating to mechanical performance, weight, corrosion resistance and more. There are also economic costs to consider, so our engineers are happy to advise you on the best materials for your application and budget. Metal 3D printing almost always requires some form of post-machining to provide features that 3D printing alone cannot. Using our in-house AddSub® service, it is a fast and easy process where material is removed by CNC milling and turning, drilling or grinding. We also have a range of other finishing processes to ensure that you get the final look you want. Our team can offer you a comparison between metal 3D printing and conventional machining in those cases where both may be viable options. You’ll be able to assess not only cost differentials but potential advantages in performance, weight reduction and turnaround times for your projects. Contact us for your free quote and design review today.